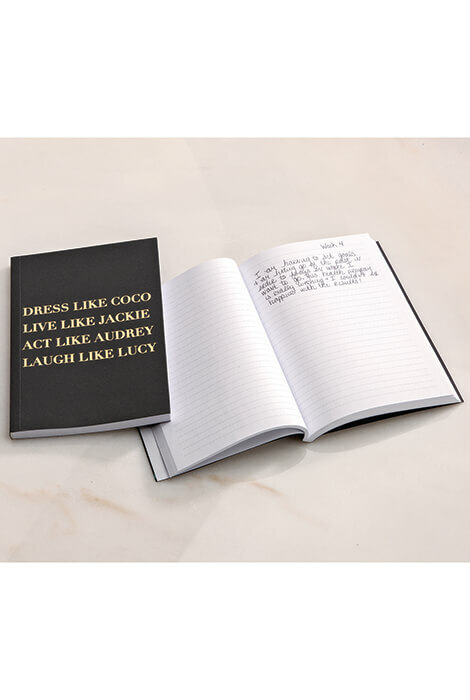 Find inspiration in icons like Coco, Jackie, Audrey and Lucy while you take a moment to jot down your thoughts and dreams in this Dress Like Coco journal. 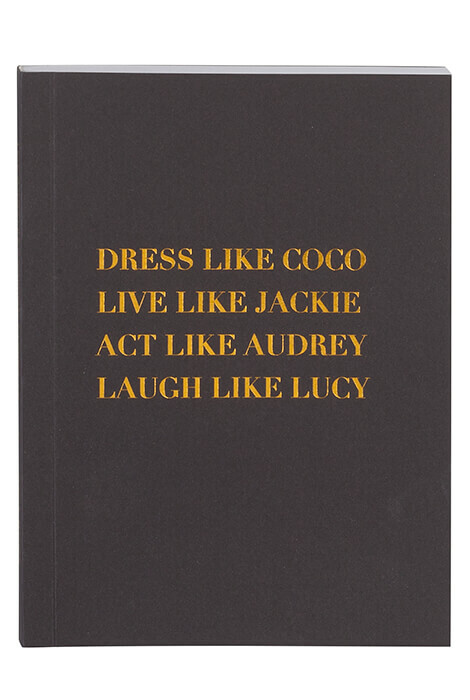 Classic gold printing on the cover. 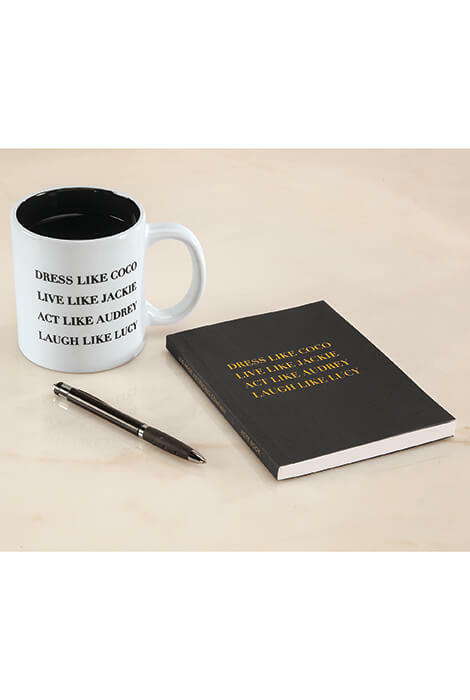 Lined pages inside for recording your ideas. Makes a thoughtful gift.